It is with immense pleasure and satisfaction that we present the second edition of book for use by the students, researchers and practitioners in dental sciences. Thorough knowledge of basic sciences is very essential for a more rationale foundation of clinical procedures. The book has been designed in such a way that the students, teachers, research scholars and practitioners will get full and clear mental picture of the subject. To achieve this high quality colored and labeled photomicrographs have been given along with elaborate well-labeled schematic diagrams. Almost all the figures have been improved and have been made multicolored to make them more clear and easy to understand. 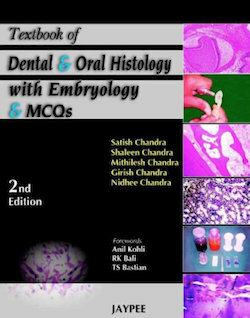 A new chapter, ‘Introduction to oral and dental tissues’ have been added to facilitate easy and clear understanding of the subject matter by the beginners. The chapter on development and growth has been enlarged to include the development of palate, maxilla, mandible and tongue in detail. The importance of molecular biological aspects including gene therapy and tissue engineering which regulate the structure, functions, healing and rebuilding the oral and dental tissues have been included. Format: PDF, 401 pp., 2007 yr.